Redistricting occurs every 10 years when Indiana redraws its congressional and state legislative districts. The Senate Democrats have created a new redistricting section on their website to provide Indiana residents with a place to easily access the latest redistricting news. The Indiana General Assembly will begin in the upcoming weeks to redraw the maps. 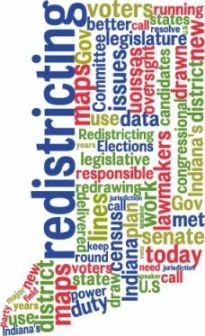 Go to www.SenateDemocrats.IN.gov/redistricting.htm to view the U.S. Census data that will be used to draw the new maps and see Indiana’s current district maps.